Now, right from the top, not only is this not Hellboy, but it doesn’t even take place in that comics universe. Unlike so many of Mignola’s books, Mr. Higgins Comes Home is its own thing. And apparently, it’s a pretty popular thing too. The original book was well received, and has now spawned a direct sequel. 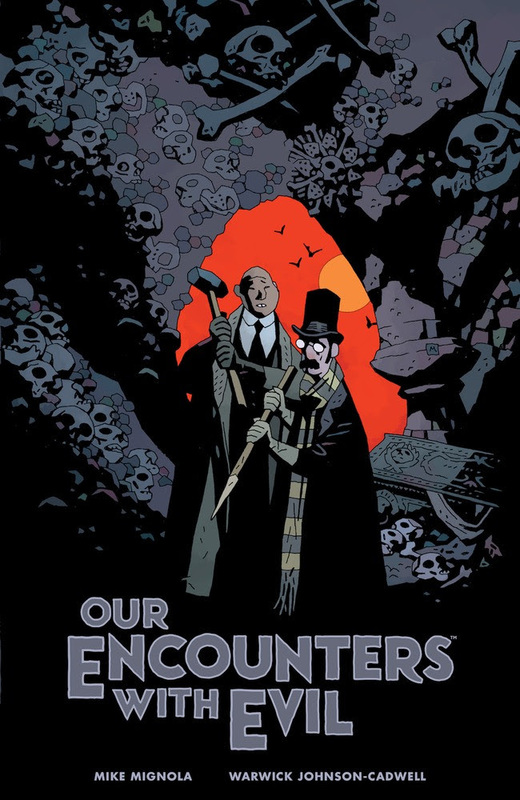 And wow, does it have one hell of a title: Our Encounters with Evil: Adventures of Professor J.T. Meinhardt and His Assistant Mr. Knox. Just in time for Halloween, expect to see Our Encounters with Evil: Adventures of Professor J.T. Meinhardt and His Assistant Mr. Knox landing at retail on October 22nd.